When I was found out I was nominated in this year’s MAD Blog Awards, my husband Roger was so pleased and proud of me, but let’s not forget he was a) a Scouser, b) a journalist and c) had a very dry sense of humour, so his reaction went a little bit like this. We laughed about it at the time, it was the black sense of humour that got us through some of those dark days and really what else could you do? I spent many of those months teetering on a tightrope somewhere between laughing and crying, sometimes both at the same time, but always knowing how much I loved my husband and how happy we had been together. I’ve said before that he encouraged me to write more openly when our lives took a turn and he was also so supportive and encouraging when he read my posts. 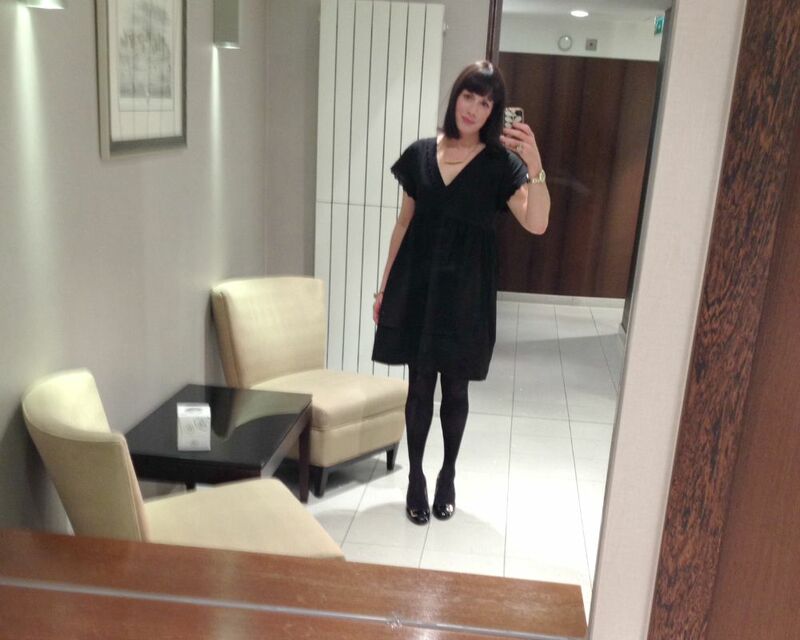 Although I didn’t win an award at the ceremony on Friday night, I did have a really excellent night and a whirlwind 24 hours for the event at London’s Royal Garden Hotel. It was the first time in so long that I was able to get dressed up, meet up with some really good blogging friends, go out and have a laugh, a drink and genuinely enjoy myself for the first time in so long. Here I am in the photo below with (l-r) Sarah, Karen and Caro. I took the train down on Friday morning with Karen from Mini Travellers, who lives really near to me and who started her blog around the same time as I did. Who would have known when we had our first chat about blogging that we would be travelling down to the MAD awards a year or so later? 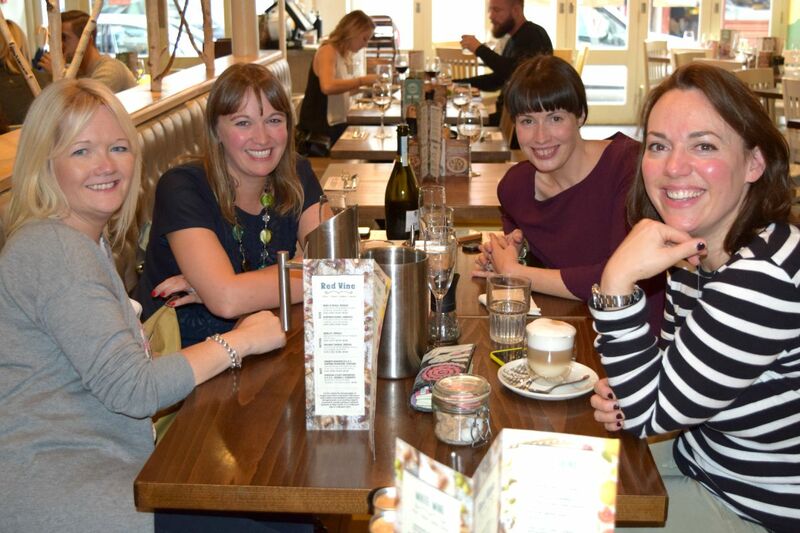 We were both so excited to be going away for the night and to meet up with everyone, it wasn’t long before we were installed in Zizzi’s at Earl’s Court with two more of our top blogger buddies, Caro from The Twinkle Diaries and Sarah from Extraordinary Chaos. We toasted our nominations with prosecco and spent more time that we should have over lunch, before making our way to our base for the night, which was the Collingham in South Kensington run by CityBase Apartments. 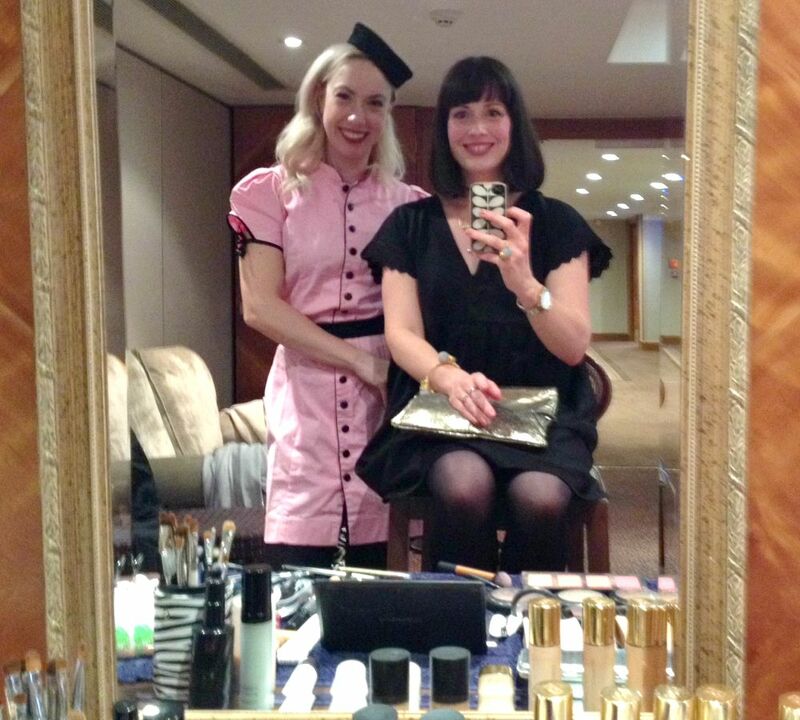 We didn’t have much time to get ready before heading over to the hotel, where we met some of the other bloggers arriving for the do and had our hair and make-up done by the Powderpuff Girls. We had such a laugh and I was put at ease by some of those I met there, including Brummy Mummy of 2 Emma, Californian Mum in London Elfa, What Katy Said Kate, and Goblin Child Amber, and I knew it was going to be a great night. After a bit of eyeliner had been expertly applied and I convinced Sarah to finish off my hair, Sarah, Karen and Caro and I went upstairs to meet Mamas VIB Bonita and Running In Lavender Heledd and had time for a quick gossip and a few (ok a lot) of photos. These are ladies I chat to most days online, we always have such a laugh and understand each other and it was so good to finally meet them and have a great big group hug. We all went downstairs for more bubbly and mingling, and I met so many people whose blogs I admire, some new faces and some who I have loved from the start. 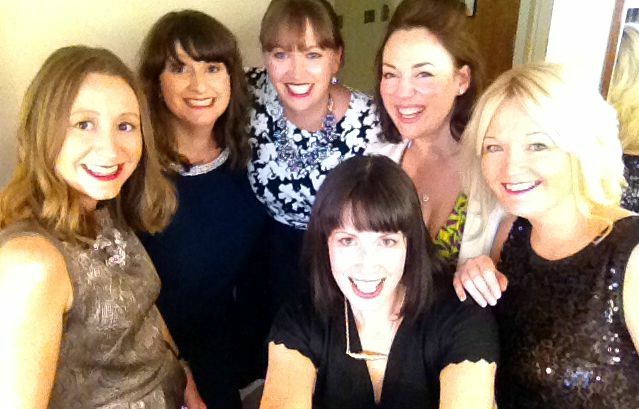 There really are too many to mention but I loved finally meeting the very lovely Katie from Mummy Daddy Me, Jenny from Let’s Talk Mommy, The Unmumsy Mum, Alison from Not Another Mummy Blog and Katie from Hurrah for Gin, who I went up to in the ladies’ like a bit of a stalker/groupie! I don’t think she minded too much! Phew. It was also so good to meet Steph who runs Don’t Buy Her Flowers and who was one of the first bloggers who struck a chord with me. We also looked pretty similar with our dark fringes and little black dresses (only Steph is like a far more glamorous cousin!). 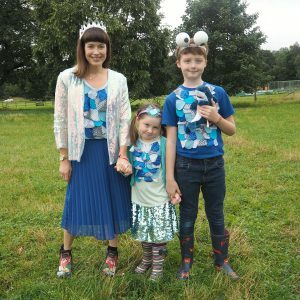 As we were allowed to invite another blogger along as a plus one, I asked the super lovely Megan whose blog Truly Madly Kids is another favourite of mine. It’s great when you recognise someone straight away and we hit it off from the start, having a real laugh over dinner and at the bar afterwards! I was also sitting next to another fave of mine, Lori whose blog Wild and Grizzly is super stylish and slick, and near Fritha Tigerlilly Quinn, whose blog I would say was a real inspiration for me when I started out. I’m glad I managed to pluck up the courage to go and say hi! The whole event was such a tonic, it was good to feel like I could laugh and be myself and be amongst so many creative and inspiring people. The wine was pretty good too, and the sambuca – which thinking about it now may have been a mistake! I can honestly say that it was such an honour to even be nominated, and I was up there with some major blogs which have been around for a lot longer than I have and who deserved absolutely to be the winners on the night. I can’t say I wouldn’t have loved to have won, but I did have a little moment on the stage all the same, as everyone who had been nominated in the Outstanding Achievement category was invited up and given a trophy as well. The category was won by Hayley from Downs Side Up, who writes about her life as a mother of a child with Down’s Syndrome. 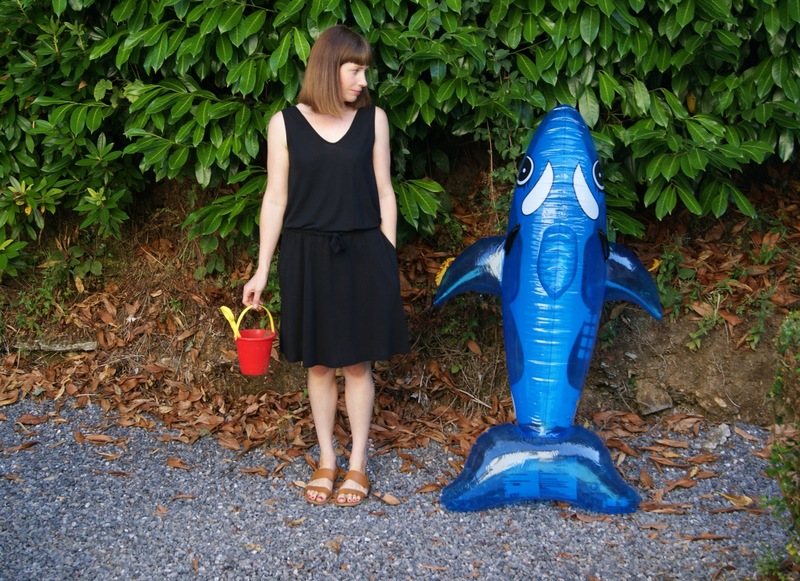 Do have a look at her blog as it is so inspiring. I was also nominated in the Best Writer and Blog of the Year categories, won by The Unmumsy Mum and Hurrah for Gin respectively. They are both fabulous blogs so if you don’t know them already, please go and check them out! Also, Karen won in her category Best Travel Blog and I was so, so proud of her. 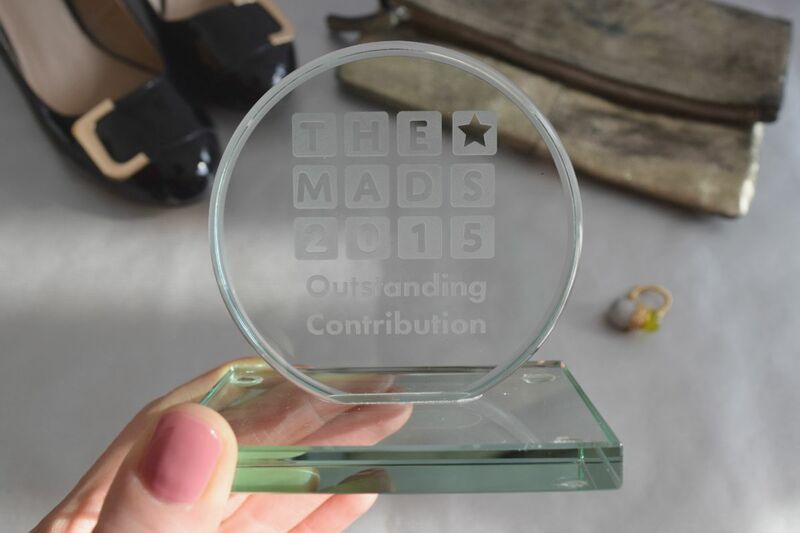 This last photo is courtesy of MAD Blog Awards/Tom Arber – featuring of course Dr Ranj! The rest were taken by me – can you see my lovely Black and Sigi ring in the top pic? 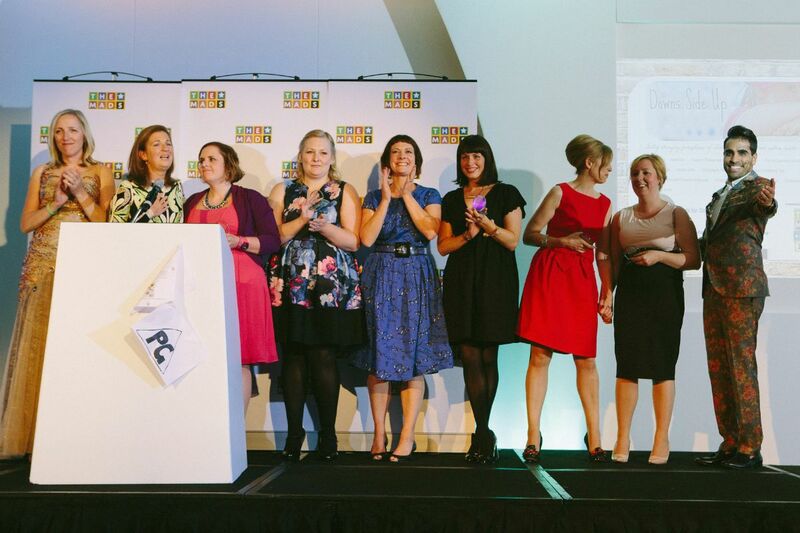 I am SO proud to have shared such an amazing evening with you and our blogging besties. It was just brilliant to spend that time with you and I’m gutted you didn’t get to make your Gwenyth Paltrow type speech! Bet Rog was cross about that too!! Such a fab weekend. Still paying for it now though! Getting old! 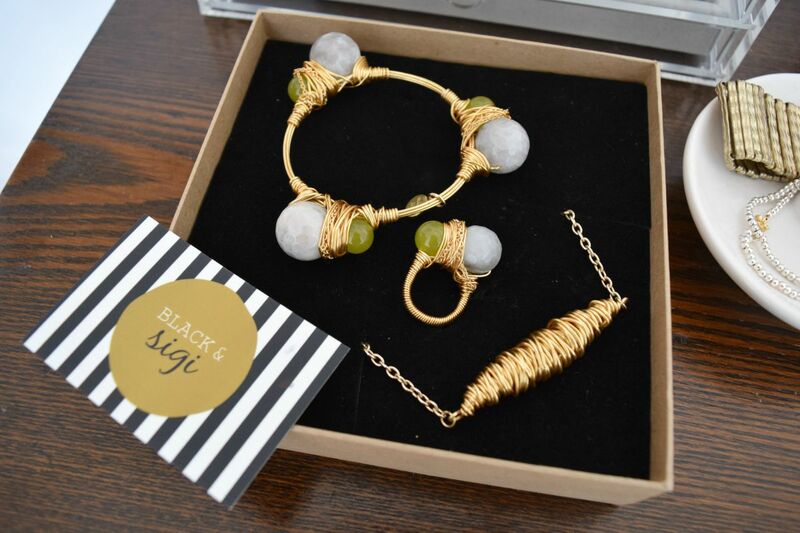 Faye recently posted…BALTIC AMBER TEETHING JEWELLERY | WHAT’S ALL THE FUSS ABOUT? I’m sure that somewhere Roger is smiling. Your nomination was so well deserved and it was a great idea to have all the Outstanding Contribution finalists on stage together and receiving their own awards. A cliche, I know, but you’re all winners and equally inspiring in your own right. Sounds like you had a fab adn well deserved time Julia.I’m so glad you were able to relax and laugh and enjoy yourself. Rog would certainly have been extremely proud of you, from what I’ve read of him. So lovely to meet you at the event and thank you to all of you who helped get to the bottom of my phone saga. The outstanding Category really is one that is impossible to judge and I was proud to stand alongside so many women doing so much to change the world with their words.